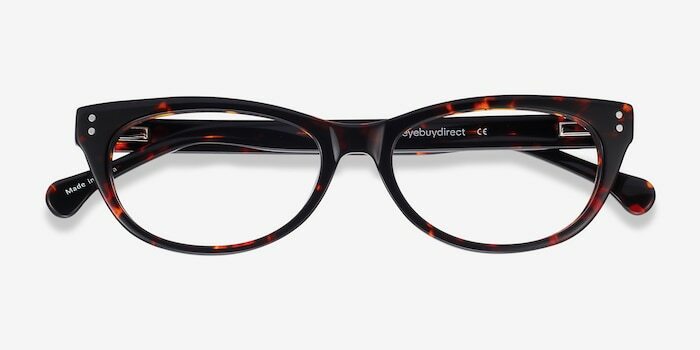 These tortoise eyeglasses are resilient and modest. 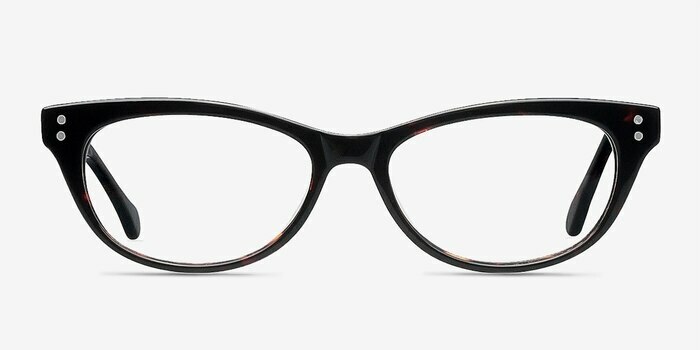 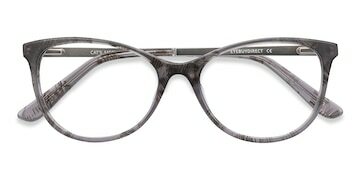 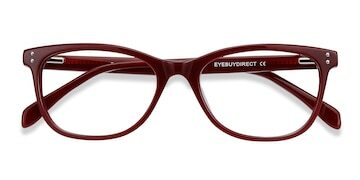 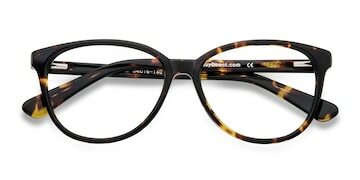 This full plastic oval shaped frame comes in a rich and glossy tortoiseshell finish throughout. 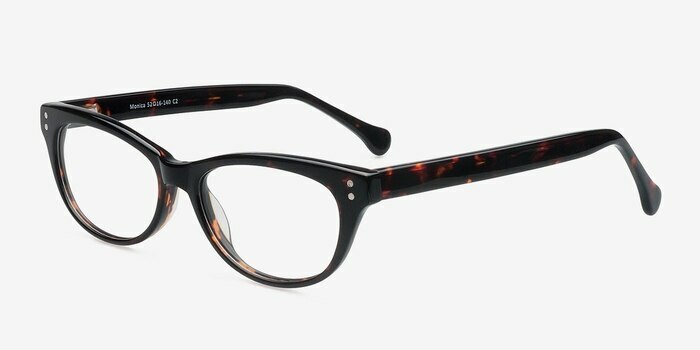 Double stud accents in the frame corners add subtle detail. 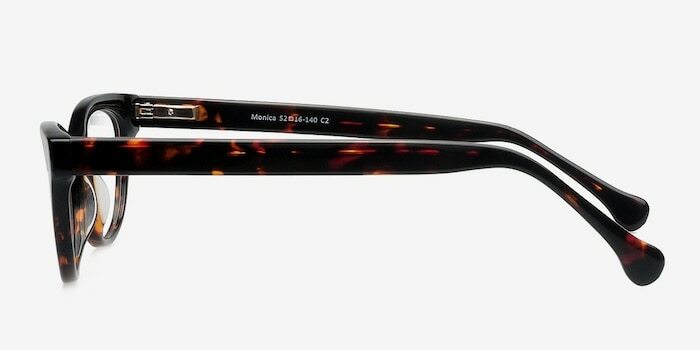 Flexible spring hinges make this timeless look perfect for all day wear.